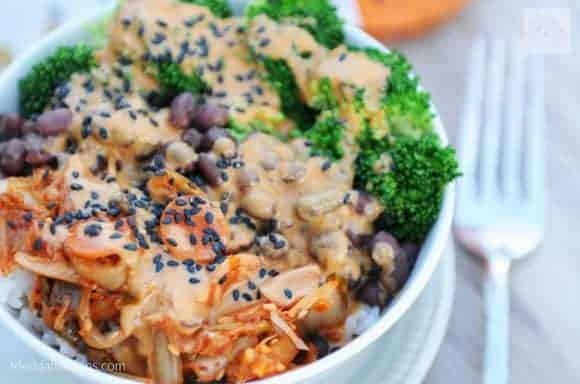 20 Buddha Bowls that Will Make You Forget it’s Good for You! I really love dishes that have minimal dishes involved. Throw everything in a bowl and eat it – that’s me! 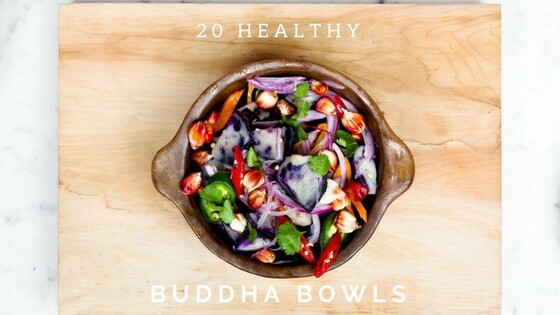 So awhile ago I started seeing these things called Buddha Bowls, then I came across this amazing book on Amazon called Whole Bowls . It became one of my favorite cookbooks very quickly thanks to all the recipes also being gluten-free. 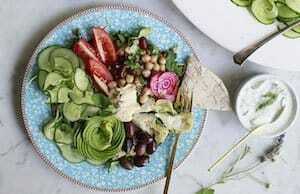 The idea of a buddha bowl is simple. 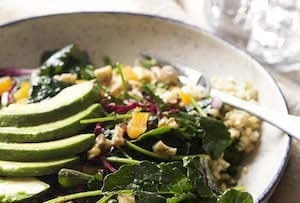 Each part of the bowl is made up of something; a grain/seed, leafy greens, protein (like beans/lentils/tofu etc), more vegetables, perhaps something crunchy on top and a dressing or sauce. Super simple and tasty. 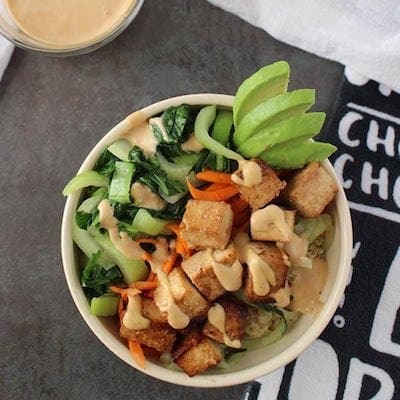 Buddha bowls are also known as macro bowls or protein bowls but whatever you call it, it’s genius. 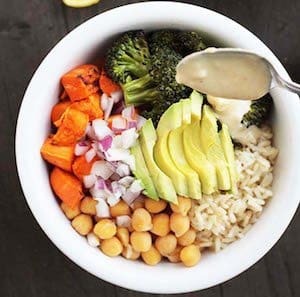 An entire meal in a bowl, with lots of color and flavor. 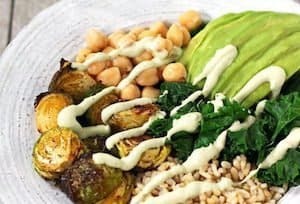 I’m developing my own recipes for Moroccan inspired buddha bowls but in the meantime here are twenty other recipes that you can be inspired by and start exploring in your kitchen! So which one will you try? Drop me a comment if you try one with your favorite! I’m also hoping to put together some Moroccan inspired versions – wouldn’t that be great?!? We JUST found tofu for sale in Morocco so the world has opened to all kinds of new recipes. I’m totally ready to dig into this recipe from Glue and Glitter. 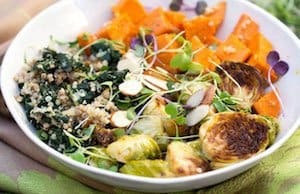 If you’re more into cooked buddha bowls than those with lots of raw ingredients check out this bowl that also has a great seasoning to kick up the flavor. 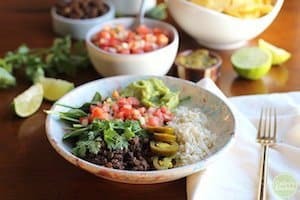 Throw whatever you want into these bowls to make a quick and delicious dinner! I’m totally after the yummy dressing on this one. Dessert bowls! 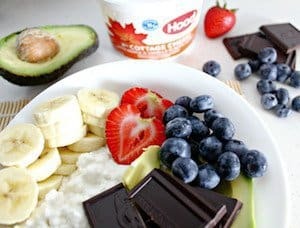 I seriously love cottage cheese and this is a really interesting take on a buddha bowl. 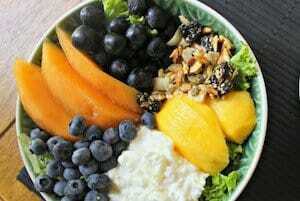 A buddha bowl with fruit instead of veggies – I love this idea! 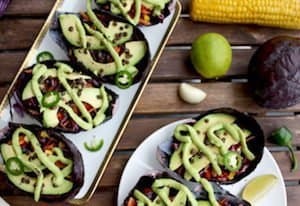 Love this idea for a tasty Mexican inspired bowl without meat! This bowl just screams fall to me. I can smell the leaves changing! 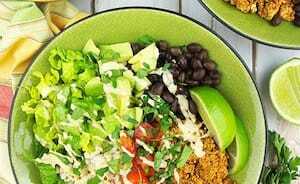 A great way to use tofu and create a “meat” texture for a yummy burrito bowl. 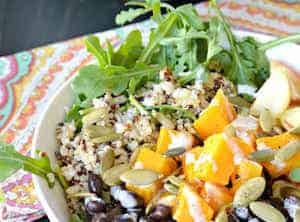 All you need to know about this bowl is that it contains halloumi – really that seals it for me! I love how unique this bowl is and some seriously bold flavors! I kind of love how the “bowls” here are cabbage leaves. Portable bowls! 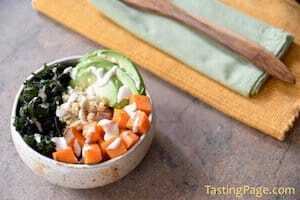 Use your favorite spring veggies and coat with this yummy lemon miso dressing. Even if you think you don’t like brussels sprouts give them another try roasted. The secret ingredient in this sauce might surprise you but it’s delicious! 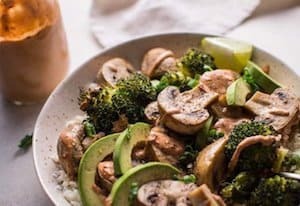 If you’ve never had cauliflower rice then you really should give it a shot and this dish is perfect to try! Freekeh is a really great and under used grain. If you want to give it a try this bowl is a good option. 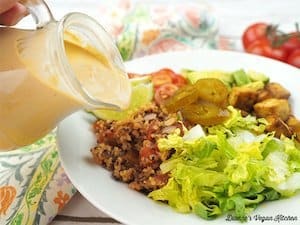 Another great meat-free option if you love Tex-Mex flavors with a chipotle lime dressing. A super simple bowl for anyone that is just getting started with making bowls. 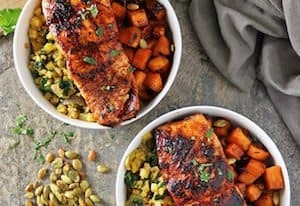 Many bowls don’t have meat at all but the inclusion of salmon in this is a great protein boost. 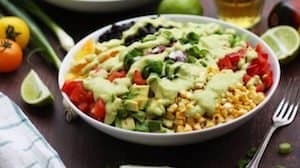 Another great Tex-Mex flavored bowl with a creamy avocado dressing to lick up! Thank you so much for including us! 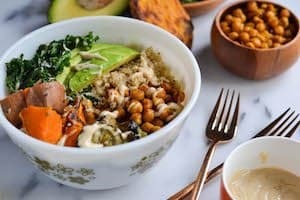 Loving this list of delicious bowls!